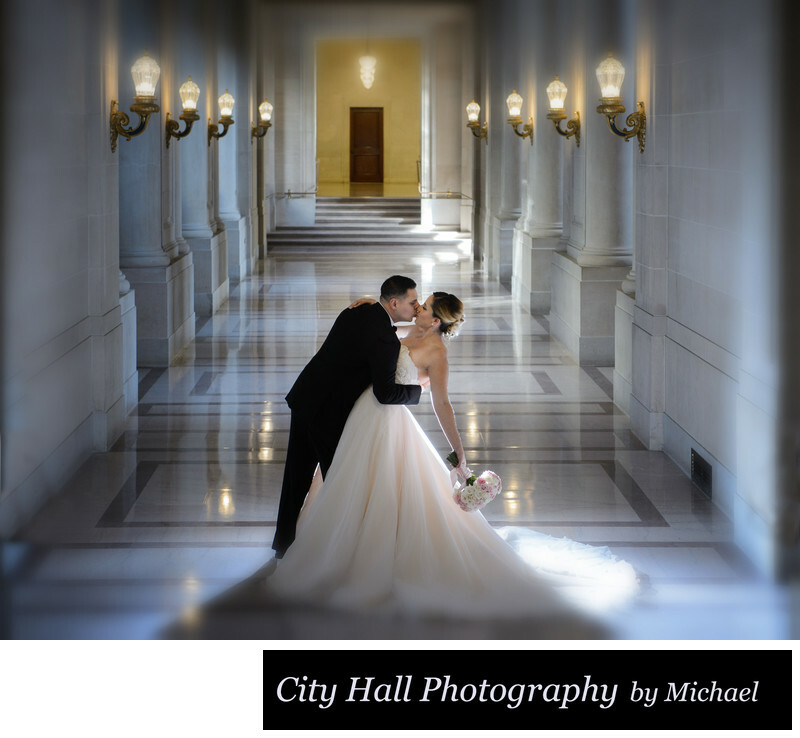 Professional wedding photographers are taught early on that capturing repeating lines going away from the subject can add impact to an image. In the photo above, we have both repeating lines represented by the columns and then the hallway lights. In my opinion the lines that repeat in this image draw your eye to main subject. Everything points to the bride and groom.